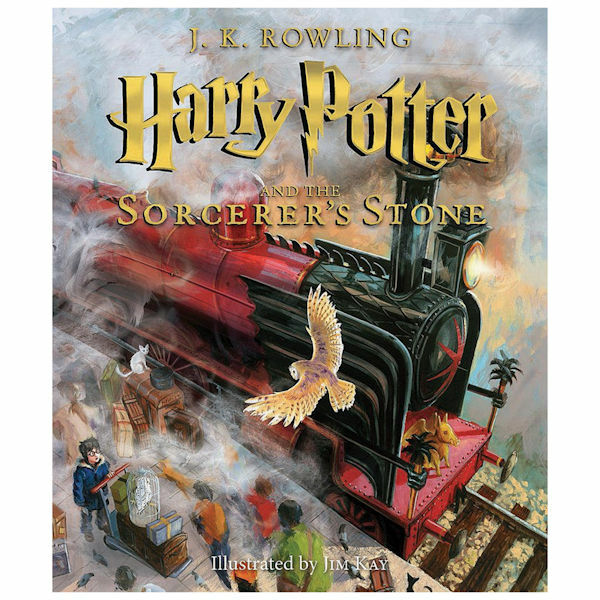 All the Harry Potter books are being newly illustrated by award-winning British illustrator Jim Kay. The first three volumes are now available, and all are spectacular. The Telegraph (UK) called the first "a triumph—a book so alive it seems to jump, explode and slither out of your hands as you read." Author J.K. Rowling has given the series her seal of approval. Each book is hardcover, with over 100 full-color illustrations filled with magic, brimming with humor, and drawn in a wide range of techniques and styles. Harry Potter fans will pore over every delicious detail. "Rowling has found her perfect match in Kay"—New York Times. "Stunningly gorgeous"—Gizmodo.